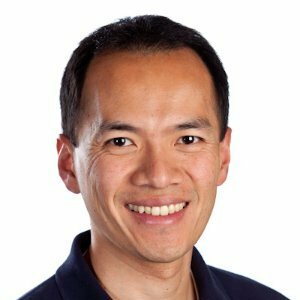 We know how important it is for sales professionals to find the right people quickly and easily. Today, we’re excited to announce three Search features that will deliver the most relevant prospects: Sales Spotlights, new Sales Filters, and Decision Maker Relevance. Now, you will be able to easily discover the prospects who are more likely to engage with you by using Sales Spotlights. 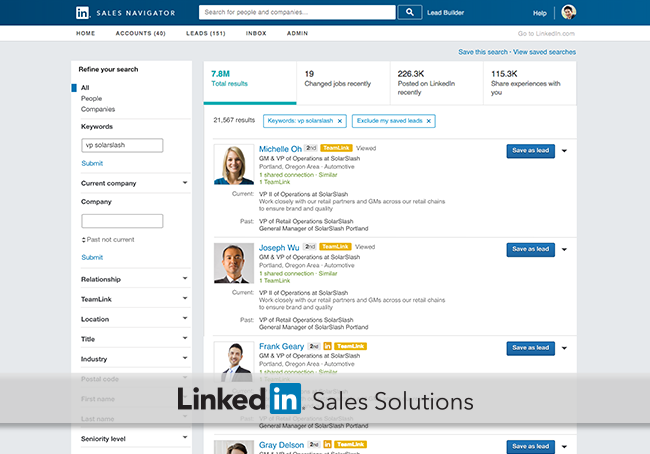 Sales Spotlights leverage LinkedIn data to segment your search results and can be found at the top of the search results page. The Job Changes spotlight identifies prospects who have changed jobs within the last 3 months. The LinkedIn Activity spotlight shows prospects who have posted or shared content on LinkedIn in the last 30 days. The Shared Experiences spotlight uncovers prospects who attended the same schools, worked at the same companies, or belong to the same LinkedIn groups as you. Over the past few months, we’ve added several new filters that are designed to help sales professionals better customize their search criteria. You can find these new sales filters on the left-hand pane of the search results page. Search results in Sales Navigator are now organized by Decision Maker Relevance, which means prospects with decision making authority will appear first. Decision Maker Relevance leverages LinkedIn data like one’s position, experience, connectivity, and recent activity to organize your results. This will help sales professionals to identify the right decision makers faster. These features will be available for English-speaking customers beginning in February. Try running a search today in Sales Navigator.